Who doesn’t like a FREE meal? Well, I am working with Wendys and The Motherhood to give away a gift card for Wendy’s new pick 2 menu. Tomorrow, I am meeting up at a local Wendys with a bunch of other popular bloggers and friends to eat, chat and chew! I can’t wait to try the new menu especially because it offers healthy options and goodness knows I am trying diligently to lose this baby fat. Wendy’s now offers a Pick 2 meal option for $4.99, allowing customers to choose one of four half-sized Wendy’s salads, along with one of seven additional menu options. – The new half-sized salads are also available as a stand-alone menu item for $3.99. – The Pick 2 option offers 28 total combinations of menu items, and 18 of those combinations are 600 calories or less. All of them combine fruits, vegetables, nuts, dairy and proteins. Wow! I can’t WAIT to TASTE! So here is how YOU can enter and win the giftcard. It’s as easy as 1, 2, 3, 4! In order to enter the drawing it’s as easy as 1, 2, 3, 4! That’s it good luck! I will extend the contest to Friday October 22nd! Good luck and GOOD eating! 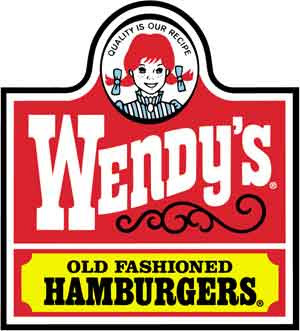 – For more information, visit www.wendys.com.